The Longmont Shambhala Meditation Group is a part of an international Shambhala community of meditation centres, groups and deleks and founded in 1973 by the Tibetan meditation master, Chögyam Trungpa Rinpoche, and now led by his son and lineage holder, Sakyong Mipham Rinpoche. "This is a very difficult time. The upheavals in the financial world are causing widespread distress, as are fears about climate change, intensified political polarization, and rising aggression." "For a society to be truly harmonious, it cannot be based on greed and anger. Meditate each day for a short time to stabilize your mind and generate compassion. See fear for what it is: a lack of trust in your genuine being, which naturally radiates compassion and kindness. Be generous. This is not a time to close down or hold on, but to offer from the natural well-spring of generosity." "Practicing, serving, and giving: this is the path of the warrior bodhisattva. It is both transcendent and earthy. When we orient our minds this way, we are creating a sustainable environment. The wealth that it generates is inexhaustible." 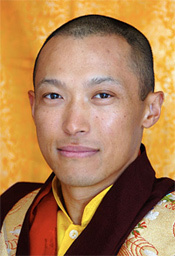 The vision of Shambhala is based on the wisdom, sanity and compassion that comes from mindfulness-awareness meditation. It proclaims that our lives are workable and even wonderful. Through the path of meditation, we can touch our inherent sanity and by sharing that with others, actually create an enlightened society. The Shambhala community is a support for all who aspire to follow this path. Shambhala represents a willingness to awaken into our world with fearlessness and to appreciate the wealth and subtlety that surrounds us. This can be discovered through the study and practice of traditional Buddhism or other disciplines which cultivate our hearts and our awareness. The Longmont Shambhala Meditation Group consists of new and longer-term members who engage in exploring their world as individuals, together. We practice a range of disciplines which share one core ethic: wakefulness.